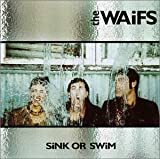 The Waifs (originally styled as The WAiFS) are an Australian folk rock band formed in 1992 by sisters Vikki Thorn (harmonica, guitar, vocals) and Donna Simpson (guitar, vocals) as well as Josh Cunningham (guitar, vocals). Their tour and recording band includes Ben Franz (bass) and David Ross Macdonald (drums). The band's 2003 album Up All Night reached the top five of the Australian Albums Chart, achieving double platinum status and winning four ARIA Awards in October. Two further top five albums were issued, Sun Dirt Water in 2007 and Temptation in 2011. 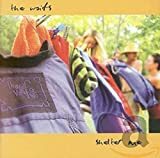 The Waifs have three top fifty singles, "London Still" (2002), "Bridal Train" (2004) and "Sun Dirt Water". The band supported Bob Dylan on his 2003 Australian tour and then his 2003 North American tour, including a gig at the Newport Folk Festival. 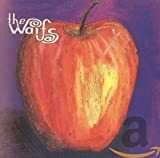 The Waifs founded the independent label Jarrah Records in July 2002, co-owned with fellow musician John Butler, and their common manager Phil Stevens, which handles their Australian releases.